Bibo Barmaid - Cocktail Machine - Moar Stuff - You don't need it but you know you want it. You can enjoy mixologist-crafted cocktails in less than 20 seconds. Bibo Smart technology makes the perfect drink - every time! Ever feel like a nice cocktail but, don’t want to spend $20 for each one just can’t be bothered to get the ingredients so you can make them at home? Assuming you even know how to mix a Appletini, that is. 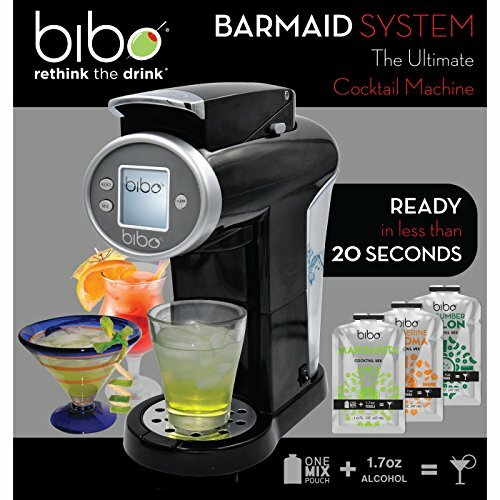 Well, the Bibo Barmaid (Buy) is a smart cocktail machine that allows you to create expertly crafted mixed drinks with the touch of a button. It’s perfect for parties or just having a nice cocktail at the end of a long day. 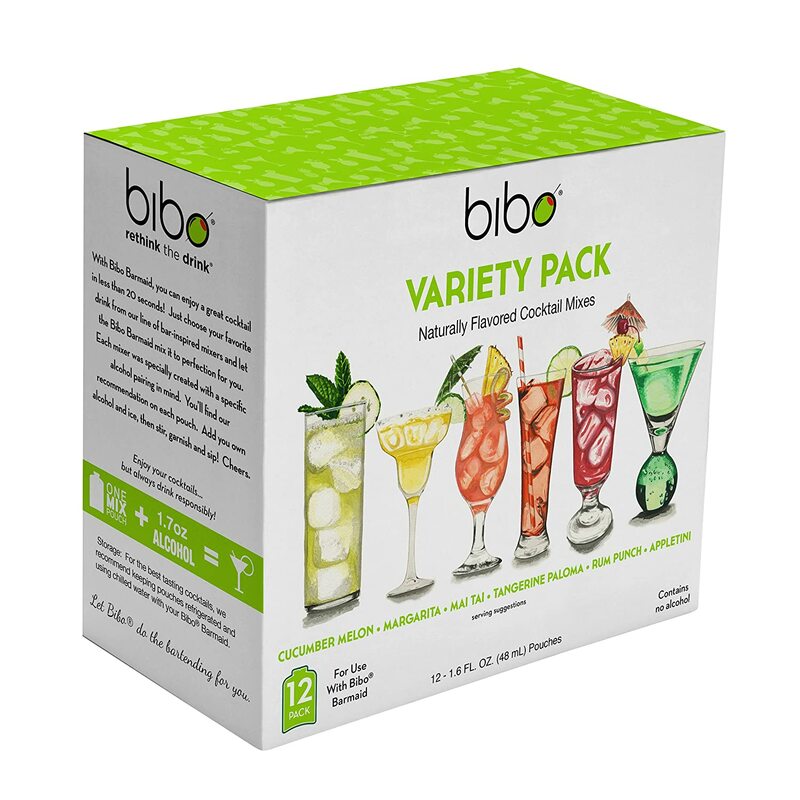 Using pre-mixed mixer pouches, the Bibo can make six different cocktails at the touch of a button. The current flavors are; Cucumber Melon, Tangerine Paloma, Margarita, Rum Punch, Mai Tai and Appletini. The pouches run about $1.91 each so, after figuring in the cost of the Bibo machine ($229), and the average cost of a cocktail in a bar (about $20 here), you’ll break even after about a dozen drinks. That’s right, not only is the Bibo convienient, it’s gonna make your rampant drinking problem more affordable. What alcoholic doesn’t need that, right? OK, seriously, aside from making cocktails at home more affordable and easier, it’s great for entertaining. You no longer have to have that one friend who thinks he’s such a master mixologist getting everyone’s order wrong. That way, there’s more time for you and your guests to actually enjoy the party. All you (or your guests) have to do is select and insert a cocktail mix pouch into the Barmaid, pull down the handle and press the “Mix” button. Add your choice of spirit, ice, and garnish. Voila! In less than 20 seconds, a perfectly mixed drink is ready to enjoy. Don't forget the mix pouches. Here's a selection of 12 to get you started. 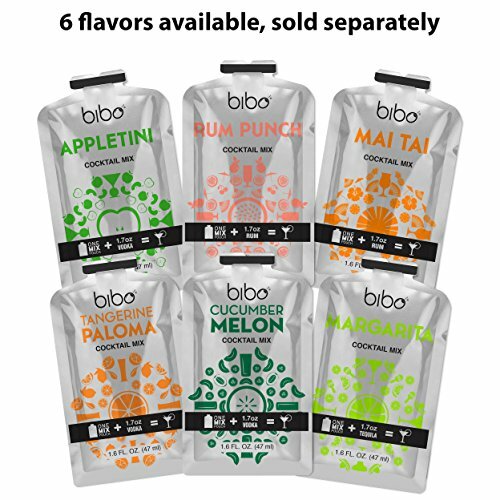 Bibo is the perfect bartending solution for holidays, tailgaters, summer barbecues, girls’ nights in, and dinner parties. 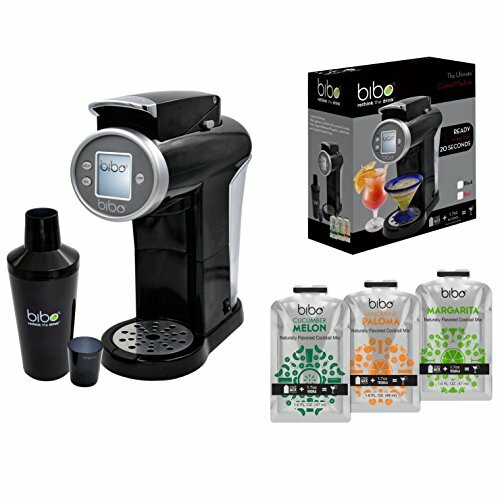 If you appreciate the way single serve brewers make it easy to enjoy a great cup of coffee at home, you’ll love the way Bibo helps you create the perfect cocktail every time. Dimensions: 16 x 15 x 9 inches. 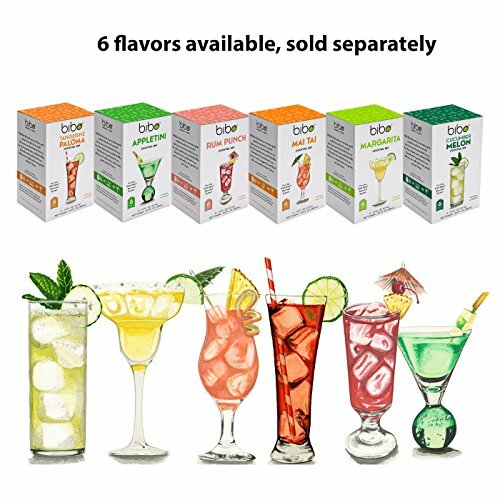 6 flavors available, sold separately.